Hey dear friends! 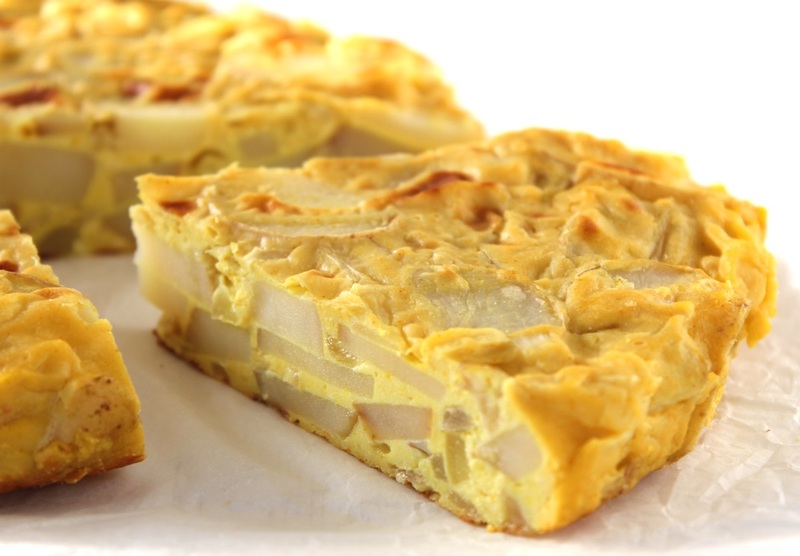 Today, I am delighted to be sharing one of personal favourite recipes with you – Spanish Omelette (Tortilla de Patatas). This is no ordinary omelette, however, as it’s 100% plant-based!! Yep, not a single egg in sight. In my pre-vegan days, Spanish Tortilla was a favourite comfort food of mine, but I love this vegan version even more. Not only is it delicious, it’s cruelty-free (no hens or chicks are harmed in the making of this omelette) AND healthier than the traditional version. It’s lower in fat, contains zero cholesterol, and is a rich source of plant proteins, B vitamins, vitamin C, and an array of minerals including potassium, magnesium, zinc and iron. Healthy, tasty AND cruelty-free. A winner all round!